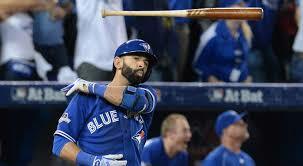 MLB Blog: Joey Bats "No Hometown Discount"
Jose Bautista's contact is in it's final year. Not surprisingly, the Toronto Blue Jays exercised their option to pay him a one-year option extension for $14M. The 6 time All-Star met with Jays management recently and apparently made it clear what it would take to sign a new contract starting in 2018. The details were not provided, but Bautista said that he feels there is no need to negotiate. As far as a "Hometown Discount" goes, Bautista states, "In my eyes, I've given this organization a five-year hometown discount already."